Newcastle United manager Rafael Benitez is awaiting to find out whether the club will give the green light for the signing of Atlanta United forward Miguel Almiron after chief scout Steve Nickson held successful talks in the States, according to the Daily Mail. The newspaper claim on their website that the Magpies have got all the details of a deal lined up on what is an initial loan with a view to buy for £15million, Nickson travelling to Atlanta United and discussing terms of a transfer which await the top brass’ approval. 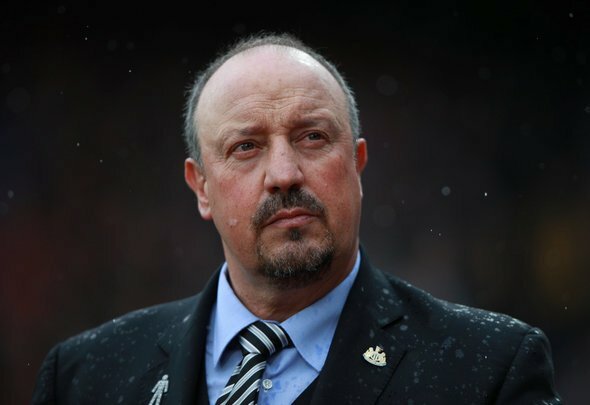 However, it is said that the exciting swoop, with Almiron netting and assisting 13 goals each, is on ice at present as Benitez awaits to find out whether the deal will go ahead, with the ongoing takeover talks said to be a potential hurdle to January deal. Considering the time of year, it could be that Ashley is simply carrying out a ploy of takeover discussions to avoid dipping his hand into his pocket for any new arrivals at St James’ Park. If the report is true and the Magpies have got a deal in place for Almiron, then the businessman would be daft not to invest in the Paraguayan star and add some of that price to the fee set for a takeover sale. The Atlanta man is destined for the very top and any new investor would be willing to pay a little bit more knowing that the club have one of the most exciting talents from the States on their books. He could double his money if the £15million price tag is correct and therefore bring in some serious cash to whoever is in charge of the club when he is eventually sold. Ashley simply does not understand football and may not be willing to take that risk – but even if he was to stay, he would be getting an absolute steal of a deal.